Wheeled helicopters taxi around just like fixed-wing planes. There’s just the not-so-small matter of the twirling rotor blades to watch out for, not to mention one at the other end. 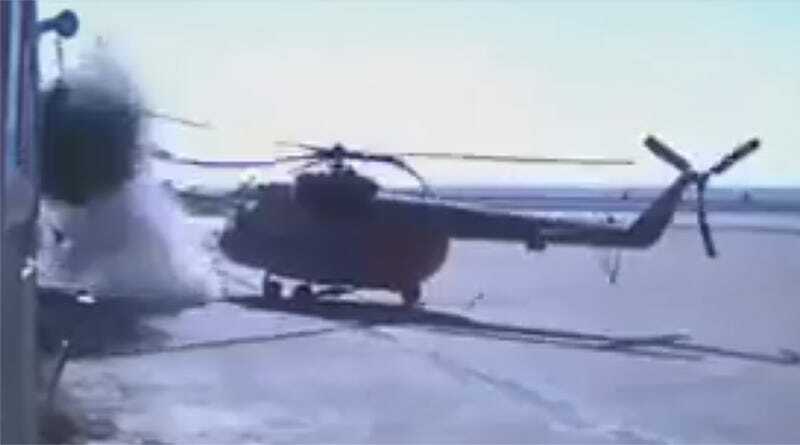 In the case of this Mi-8 Hip, it looks like someone forgot about the helicopter’s rotors entirely.